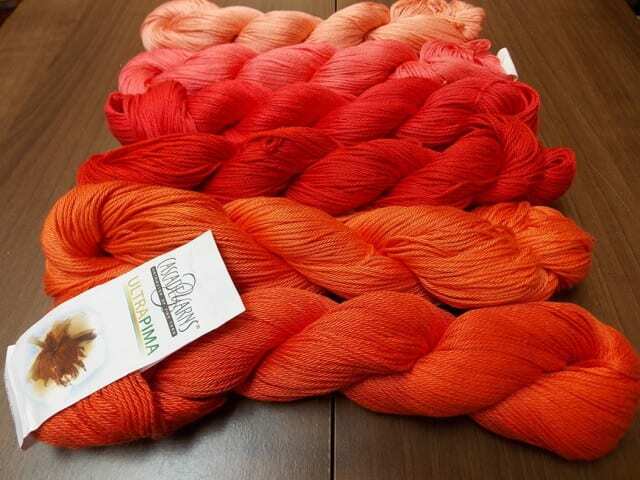 A knitter friend of ours came in some months ago seeking Cascade Ultra Pima for a special project. We’re nosy, so we asked, “What are you planning to make?” Her answer surprised us: Knitted Knockers. She went on to explain that Knitted Knockers are soft, comfortable, knit prosthetics for breast cancer survivors, and our surprise turned to delight. What a good, kind use of one’s knitting time. Ana has since been making bunches of them, and enlisting her knitter friends to do the same. She’s offered to be a liaison between our shop and the UNC Cancer Center, delivering Knitted Knockers collected here at the shop before October 25th. Here are the first of our collection, knit by Marian in Cascade Ultra Pima. There are a variety of free patterns available on the Knitted Knockers website, so whether you prefer to knit in the round on double points or use magic loop, knit flat and seam, or crochet, there’s a Knitted Knockers pattern for you. 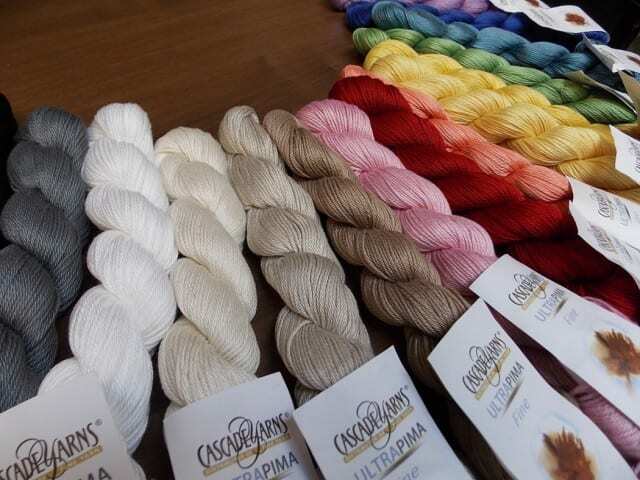 The knit patterns call for Cascade Ultra Pima, a dk weight 100% cotton that comes in a wide range of colors. 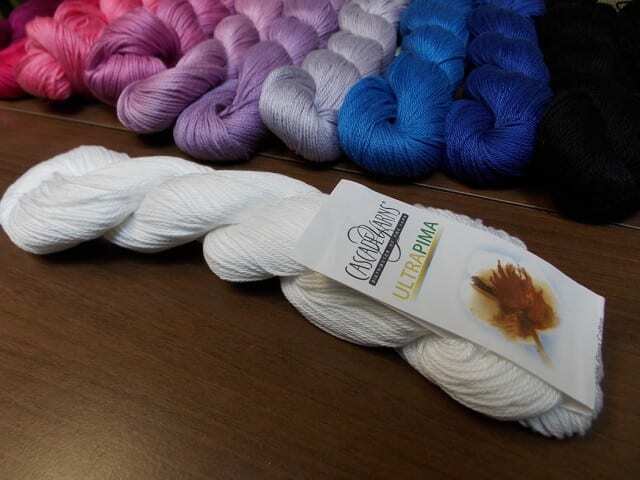 Because crochet is inherently thicker than knitting, the crochet pattern calls for Cascade Ultra Pima Fine, a sport weight version of the same soft, smooth cotton. Come by to pick out some Cascade Ultra Pima or Ultra Pima Fine to make a pair of Knitted Knockers yourself, and bring the completed pair to the shop by October 25th, 2015. See you there! Hi Jan, we’re about 23 miles east of Burlington. You can find a Google Map with the shop location on the “Contact Us” page of our website. I am so excited that you are supporting Knitted Knockers! I sent some to the charity earlier this year, I have some already made, and yarn to make more. I’ll be sure to drop some off before the deadline. Thank you so much!!! That is awesome, I will be in there as soon as possible to get my yarn…..thanks for letting us participate in this worthy cause….. I would like to knit the knockers but no directions. 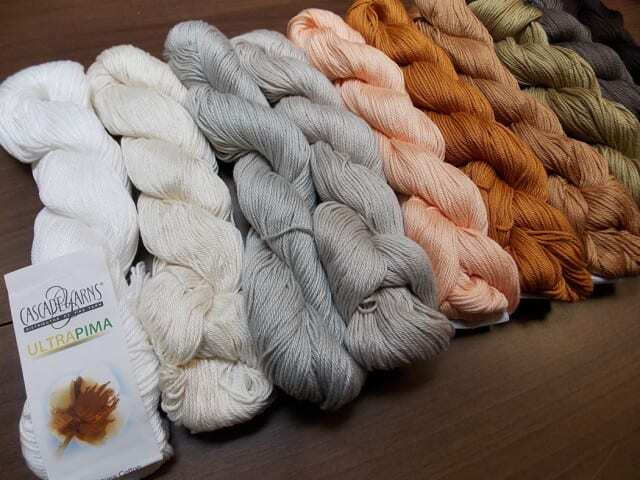 Can any soft yarn from my stash work, does it have to be pure wool with no acrylic? Since I live a distance is there an address for sending them? I would like to share the info with a knitting group near me. Thanks for your interest in the Knitted Knockers project. Instructions for making Knitted Knockers can be found on the Knitted Knockers website, where they also recommend using 100% cotton yarn in a sport or dk weight. You can certainly mail finished Knitted Knockers to our shop, if you like–we’ll see that they are distributed to the UNC Cancer Center. Our mailing address is listed at the top of our website. Another option is to send them off to Knitted Knockers in Washington state, where they’ll distribute them as needed around the world. Look for more information about that on the Knitted Knockers website, and do let us know if we can answer any more questions!